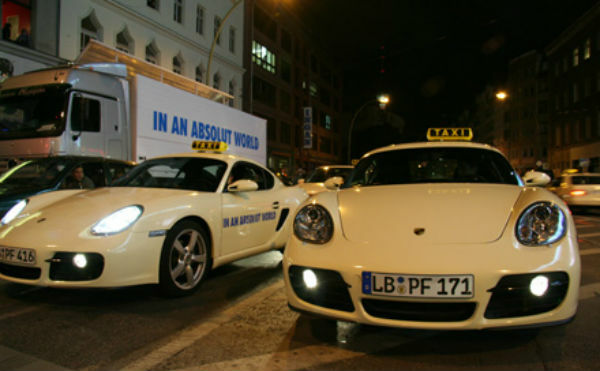 From Rolls Royces to Lamborghinis, some countries of these world have some really classy taxis. This maybe Rolls-Royce’s cheapest offering in the world yet it costs a huge amount of fortune to own this. If you are in Dubai, you can rent the Ghost as a taxi ride. The car is powered by a 6.6-litre V12 engine that produces a maximum of 563 BHP of maximum power. 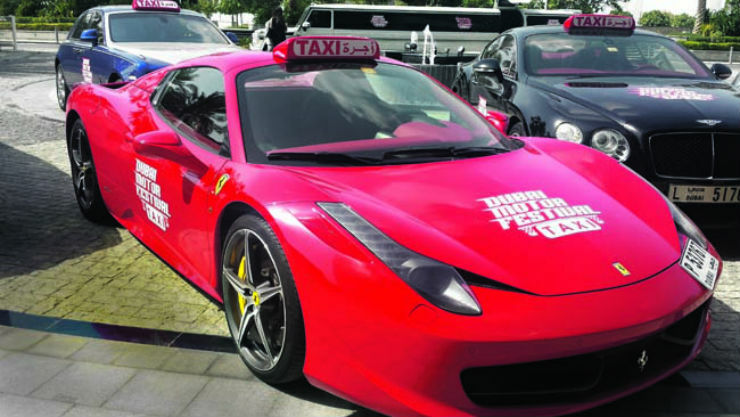 Celebrating the Dubai Motor Festival, Dubai government announced the Ferrari 458 Italia taxi. It ferries the passengers within the Dubai city limits. The red colored Ferrari Taxi is powered by a 5.0-litre V8 petrol engine that generates a maximum of 562 horsepower. Thailand is a land of dreams. People from the world over go to Thailand to party. There is no better way to reach a party than opening the door of a Lamborghini Gallardo. You can the taxi in Thailand and it is a common sight there. The car gets powered by a 5.2-litre V10 engine with 6-speed automatic gearbox. It produces a maximum of 500 BHP. Germany is known for being the home of the world’s greatest manufacturers. The country has outstanding road quality. The country is filled wth fast cars and if you want to reach from point A to B there, you can hire a Porsche Cayman. The Cayman sports car is powered by 3.2-litre engine that is situated in the middle of the car. It produces a maximum of 252 BHP. The Maybach is the ultra-luxury brand of Mercedes-Benz. The company launches luxury cars that drip of comfort and luxury. In the capital of Russia, Maybach 57 is used as a taxi for elite guests of to the city of Moscow. The car is powered by 5.5-litre V12 engine that produces a maximum of 518 BHP.